Leah Hogsten | The Salt Lake Tribune Charles A. "Chuck" Wight, with wife Victoria Rasmussen, was named as Weber State University's 12th president Monday by the Utah Board of Regents, Tuesday October 9, 2012. Wight has been serving as the University of Utah's associate vice president and dean of the graduate school. Wight replaces Ann Millner, who served as president for 10 years. The shuffle of Utah’s university presidents continued Thursday with the announcement that Weber State University’s Charles Wight will step down in June. Wight, known as “Chuck” on the Ogden campus, disclosed his plans to members of the school’s Faculty Senate. He told faculty members that he is currently being considered for presidential positions at multiple schools across the country. “He wanted to let our campus community know before they learned it from any other source,” WSU spokeswoman Allison Hess said. Wight is third president of a public Utah university to step down in the past year, following similar announcements by University of Utah President David Pershing in May and Utah Valley University President Matthew Holland in November. The Utah Board of Regents is expected to vote on a replacement for Pershing on Thursday evening, while a search continues for the next president of UVU. 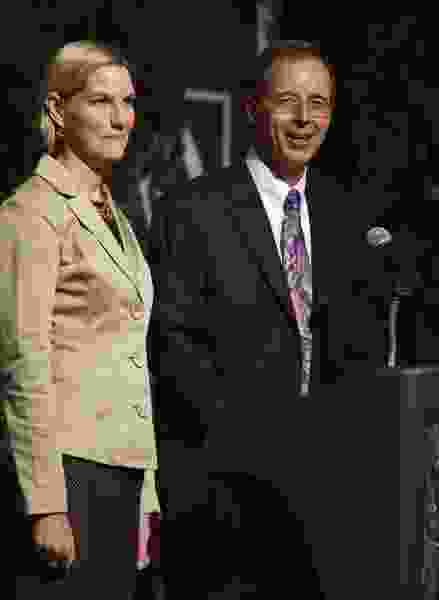 Wight was named president of Weber State University in January 2013. Prior to that, he worked as associate vice president and dean of the graduate school at the University of Utah. In a letter to Weber State’s campus community, Wight called the university a “special, even magical, place” and praised its academic mission. Hess said she did not yet know what schools are considering Wight for president positions, but that Wight believes his candidacy was soon to be made public. She said his plans were not known to the school’s administrators until his Thursday announcement. “It’s no surprise that at the end of five years a president would being looking around for other opportunities,” she said. Melanie Heath, spokeswoman for the Utah System of Higher Education, said it’s unlikely that the selection of a new president will be completed prior to Wight’s departure in June. Interim presidents are typically selected from among a school’s existing administrative team. Nolan Karras, chairman of Weber’s Board of Trustees, said he is confident in the university’s ability to transition between leaders as Wight was effective at empowering and delegating authority to his vice presidents. Like Hess, Karras said he did not know what schools were looking at hiring Wight. An announcement of Wight’s candidacy at another university could have made things uncomfortable at Weber, Karras said, and Wight was wise to give advance notice of his plans to the campus community. In a written statement, Board of Regents chairman Dan Campbell thanked Wight for his work as president.